Geneva (Switzerland) March 21, 2019 (SPS) – the negotiating team of the Frente POLISARIO has met with the UN envoy for Western Sahara, Horst Köhler, to finalize the preparations for the second round table with Morocco in Geneva, Switzerland. The UN envoy brings together the parties to the conflict to break the blockade and give impetus to the peaceful process aimed at holding the referendum on self-determination. The new round of negotiations is "one more step in the political process to reach a just, lasting and mutually acceptable political solution that allows the self-determination of the people of Western Sahara," says Horst Köhler. 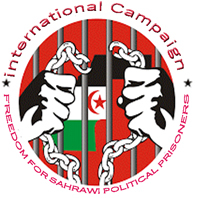 Sources close to the negotiating team of the Frente POLISARIO reiterated the full willingness of the Saharawi delegation to work in a constructive atmosphere that could aim to respect the aspirations of the Saharawi people to self-determination and independence. The same source added that the delegation regretted the lack of will on the part of the Moroccan regime and the intentions to hinder the work of the UN. The second round table, March 21 and 23, will continue the first meeting held on December 5 and 6, 2018, and responds to resolution 2440 of the UN Security Council, which urges the parties, Frente POLISARIO and Morocco, sit down at the negotiating table. Other issues that will be present, with Mauritania and Algeria as observer countries, are the challenges facing the region and the need to join efforts to end a conflict that prevents the development of North Africa.